Primary Possibilities: Super Sunday Sale! 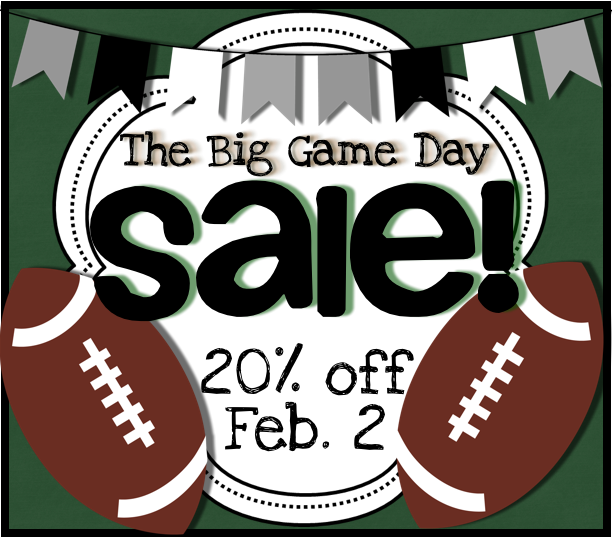 Some awesome TpT sellers are offering up some discounts for the big game! Grab some deals in between plays (but don't miss any commercials!). Thanks so much for the opportunity to link up! Happy Super Sunday sale day to all! Thank you so much for having this linky and allowing us to hook up with you! We just found you and are your newest followers! Thanks for the opportunity to link up! Have a super Sunday! Thank you for hosting this linky and allowing us to showcase our store! Happy Super Sunday everyone. Thanks for letting me link up! Good luck to all!